A dental crown is basically a protective cap that is cemented onto your own natural tooth. It is essential to prevent the filling and damaged tooth from chipping or cracking, and encompass the entire tooth from the gum to the chewing surface. 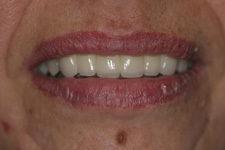 Unlike dentures which are removable, crowns cannot be removed without the help of complex dental procedures. 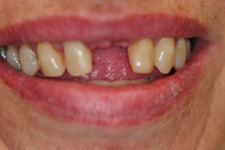 Bridge is used to replace a missing tooth or teeth utilizing adjacent teeth as anchors. It is fixed and permanent cemented. They restore the function and esthetic of the missing tooth and prevent the adjacent teeth from rotating or shifting into the empty space. Unlike dental bonding, crown and bridge require more than one visit. In the first visit, the dentist will clean the decay, restore the tooth and shape the tooth to a specific form to accommodating the crown. Then, your dentist will take an impression of your teeth with your bite. He will check the color of your teeth and select the proper materials for the new crown before the impression was sent out. A temporary crown will be cemented for protecting your tooth during the permanent crown is fabricated in the lab before you leave the dental clinic. Normally, it will take 5 to 10 working days for the crown to be made by a professional. In the second visit, your dentist will check the fit, the color and the bite of the crown with complete satisfaction before the crown is permanently cemented on you tooth. There are different materials that can be used for a crown or bridge. There are stainless steel crown, gold alloy crown, ceramic crown, E-max, Lava and full Zirconia crown. Your dentist can recommend you the best material for your needs. Is It the Ideal Procedure for You? A crown may be the ideal procedure if you have a substantial amount of damage in your teeth, so much so that fillings cannot be fixed. Bridge may restore the function of your missing tooth and give the beautiful smile back without additional surgery like implant. You can consult a dentist who can better determine whether the procedure is suitable for your situation.